The vast reduction in economic hardship among elderly Americans is one of the crowning achievements of 20th century policy. Consider this: In 1939, 68 percent of Americans over the age of 64 lived below the poverty line. By 1966 — the year after the creation of Medicare — that figure had fallen to 29 percent (see Table 3 from the Census Bureau), thanks to Social Security, relatively widespread pension plans, economic growth and reduced income inequality. Since then, the rate of elderly poverty has continued to fall, now standing at 9 percent. But this dramatic improvement in the quality of life for retirees is increasingly at risk. As of 2010, only 60 percent of families on the cusp of retirement had any retirement accounts at all, and those accounts had a median value of $100,000 — hardly enough to pay for an anticipated two decades of retirement. At this point, the only thing standing between many imminent retirees and poverty is Social Security, which pays an average retirement benefit of only $15,000. This decline in retirement security has had many causes, such as the decline of traditional pensions and the stagnation of real wages. One problem we can quickly address, however, is the unavailability of decent retirement savings vehicles for many of today’s workers. Most people who have retirement plans have 401(k) or similar plans, which allow employees (and employers) to contribute money to investment accounts that are sheltered from income taxes. Despite these tax benefits, 401(k) plans have several flaws: many people do not participate; those that do fail to save enough; complex investment menus lead many people to make poor choices; many “cash out” their plans and incur tax penalties; and the value of their accounts is undermined by often excessive fees charged by the asset management industry. Perhaps the biggest problem is that many people do not have access to employer-based retirement plans at all, since they exist at the discretion of employers. Right now, the Connecticut legislature has an opportunity to do something about this problem. The Committee on Labor & Public Employees has proposed a bill, S.B. 249, that would create a “public option” for retirement savings. Employers could offer this new retirement plan to their employees at no cost to the company. Workers would be automatically enrolled in the plan, which would earn a guaranteed rate of return each year and would automatically convert to an annuity upon retirement. This plan would solve several of the problems faced by workers today. The guaranteed annual return reduces the investment risk faced by plan participants. Because the plan is pre-funded (benefits are paid out from participants’ contributions, plus investment returns), it does not face the solvency risks common to traditional pensions. The accounts could not be cashed out on leaving an employer, ensuring that the assets will be there when the employee does retire. The default annuity (although participants would have the option to take a lump-sum distribution) ensures that retirees will not outlive their savings. Automatic enrollment has been shown to vastly increase participation in retirement plans, helping people do what they already admit they should be doing. Of course, there is no such thing as a free lunch. In order to earn a guaranteed annual rate of return while minimizing risk, the plan will have to hold conservative investments, or buy insurance, or both — which means that the rate of return will be low, perhaps only modestly higher than the inflation rate. This will offend those in the “put all your money in stocks” camp. But the idea that investing in stocks is always a good idea breaks the first rule of finance: that higher expected return can only be gained by taking on more risk. In addition, there will be investment management fees, although judging from my experience as a UConn employee, the state does a good job negotiating those down to a reasonable level – lower than many plans available on the private small business and individual market. Finally, people making the minimum wage and contributing 3 percent of their paychecks (the default rate) will still not be able to save enough for retirement. Still, S.B. 249 will significantly increase the number of people saving for retirement with little risk and at low cost, and will provide them with a reliable source of income alongside Social Security. It won’t solve the underlying problems of wage stagnation and income inequality, but it’s a good first step toward increased economic security for Connecticut’s citizens. With Congress paralyzed by partisan infighting, it’s up to states like Connecticut to make it possible for ordinary people to retire without facing poverty. By showing that guaranteed retirement accounts can work on a large scale, we can provide an example for the rest of our country. 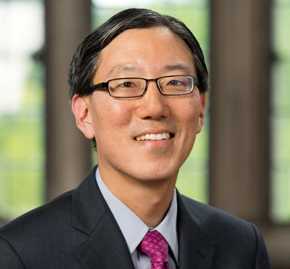 James Kwak is an associate professor at the University of Connecticut School of Law and co-author of two books about economics and public policy, 13 Bankers and White House Burning. You can follow him at The Baseline Scenario or on Twitter (@JamesYKwak).